Plus+ CBD Oil is one of the biggest names in CBD. 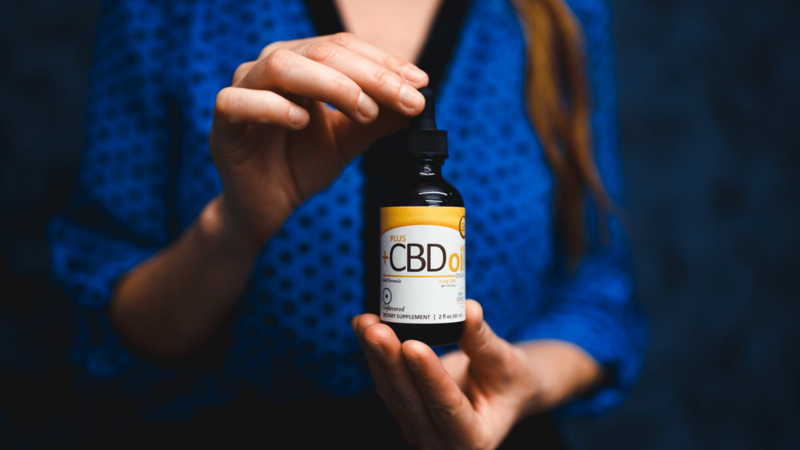 It’s sold extensively throughout the US…so much so that it’s become almost a household name brand of hemp-derived CBD products. 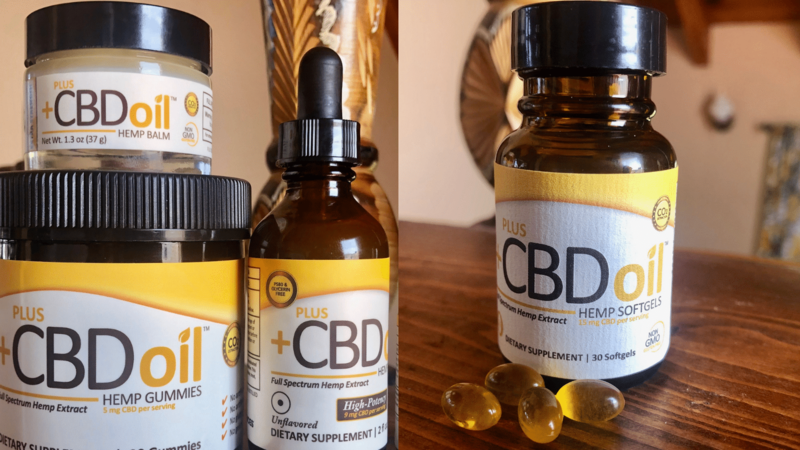 What makes Plus+ CBD different from the competition? 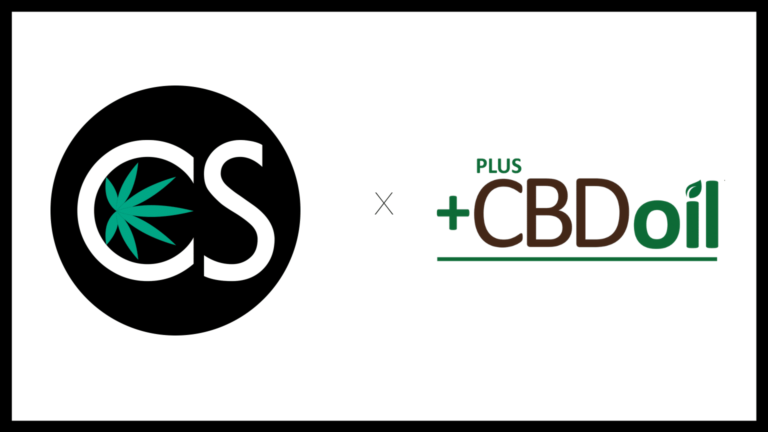 Plus CBD is a brand under the company CV Science Inc. that operates two distinct business segments. One is a drug development division with a focus on developing and marketing synthetic CBD products. 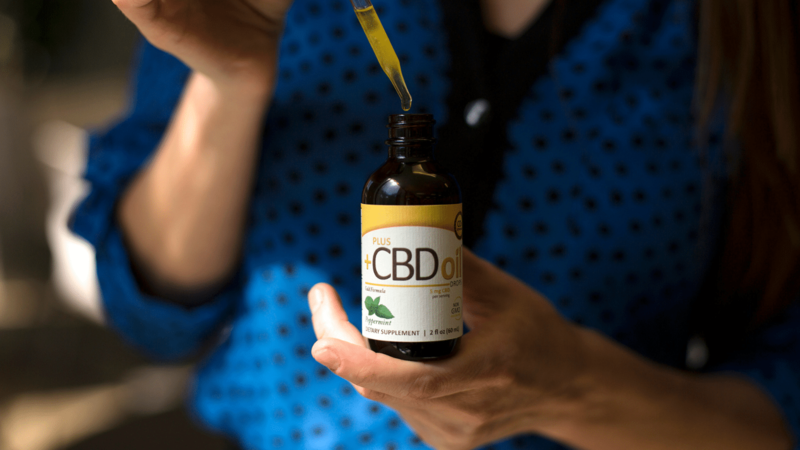 The other is Plus CBD, which manufactures, markets, and sells plant-based CBD products to an extensive consumer market. Needless to say, the highly professional team behind Plus CBD is committed to quality. Just as one would expect from one of the biggest names in the industry. 1. Is the company transparent, ensuring full traceability From Seed to Shelf™? 2. Does the company test each batch for cannabinoid potency in their own lab? 3. Does the company send their products to an independent third-party lab to verify cannabinoid potency? 4. Do the test results meet the label claim? Providing accurate MG of CBD per serving? 5. Is the company committed to education, never oversimplifying the science? Plus CBD Oil can answer “Yes” to every single one of these questions. And they’ve got everything easily on their website available to prove it. CV Sciences was recently named one of the first US Hemp Authority Certified Manufacturers. The US Hemp Authority was established in 2018 to educate hemp farmers and hemp producers about FDA Current Good Manufacturing Practices (cGMP) and Good Agricultural Practices (GAP) to safeguard consistent quality. The certification program is managed by industry-leading professionals from some of the top agricultural and food companies. For a company to carry this certification, it means they’re highly dedicated to quality. And when it comes to CBD, quality is paramount. The certification that CV Sciences has means that the entire manufacturing system from seed to shelf is meticulously managed every step of the way. Transparency is key in the world of CBD. If a company can’t stand up to what they claim by proving that their products really are what they say they are…it’s always wise to take your business elsewhere. With Plus CBD, you can be assured that you’re getting the quality you deserve. Third party lab tests are readily available on their website. Just click on the QR Code and you’ve got all the information you need concerning any specific product they carry. With Plus CBD, it’s easy to see what’s in every product…every time. We can see why they’re one of the most popular names in CBD. What about their products themselves? Are they really everything they claim to be? Here’s our take on what we tried. When it comes to their products themselves, CBD Plus has their packaging down. A simple design that appears as if it would be a high quality product. We can appreciate it. Not over the top, but definitely something that caught our eye. In a world of stiff competition, package appeal is something that’s got to stick out with CBD. What it really comes down to, however, is the product contained in the package. What did we think? The drops themselves were thicker than any traditional tincture we’ve tried. We sampled the “unflavored” oil in the 60ml 2oz bottle. Serving size is a half dropper and contains 37mg of hemp oil and 9mg of CBD. We wouldn’t say that the oil was actually “unflavored.” More sweet and earthy. We didn’t mind it at all, as we typically prefer a more natural taste than a CBD oil that’s artificially flavored. We can see how it would blend perfectly into juice or a smoothie, but also wouldn’t mind taking it again in just by itself. We love the convenience CBD softgels offer. They’re a familiar way to get your daily serving of CBD, as they can be taken just like a regular supplement. 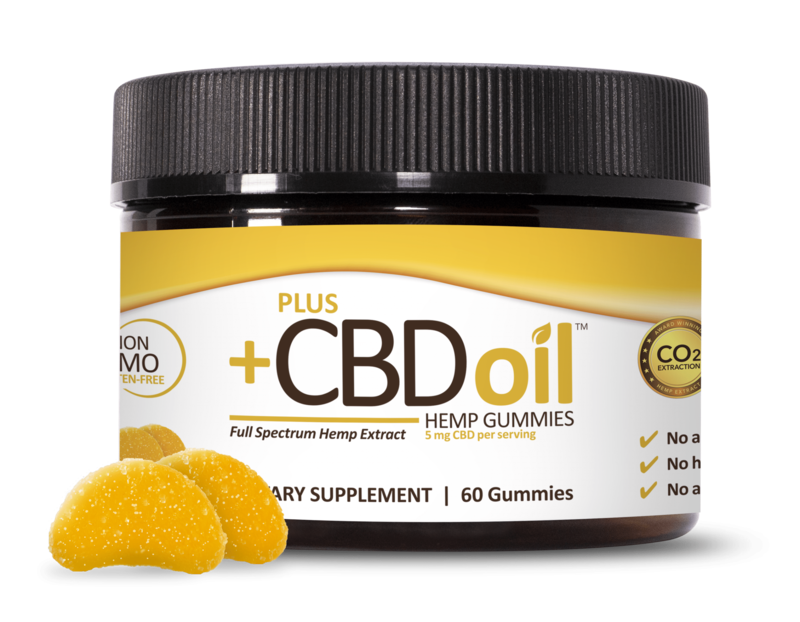 Plus CBD’s Gold Formula Hemp Softgels are made with a simple formulation of hemp oil and extra virgin olive oil in a vegetarian capsule. Nothing more, nothing less. We tried the 15mg serving size that contains 60mg of hemp oil and 15mg of CBD made with Plus CBD’s Gold Formula. The bottle was double sealed for protection, and we appreciated the small size of the capsules, as swallowing a pill too large is never a good time. There are options for 10ct ($19.95), 30ct ($49.95), and 60ct ($89.95). Plus CBD also has two new options for softgels, including a Total Plant Complex formula and a Raw formula. Every CBD company has got to have a gummy. We LOVE the option Plus CBD offers. Once again, we tried the Gold Formula Gummies (30ct or 60ct options starting at $39.95) and are so happy with what they offer, we know this is a product we’ll come back to again and again. What makes their gummies stand out to us, in particular? For one, they’re soft, chewy, and taste amazing without a completely overpowering, odd flavor. We tried the Cherry Mango flavor and were pleased overall with both the appearance of the gummies and the taste they contained. For another, CBD Plus Hemp Gummies are made with all natural, organic ingredients. Yay! What exactly is in them? They contain: organic tapioca syrup, organic cane sugar, purified water, organic seaweed extract, citric acid, trisodium citrate, natural flavors, and carmine for color. What’s more is they’re not coated in sugar crystals. With 5mg per gummy, they make the perfect take-along supplement for sweet relief on-the-go. Carrying a CBD topical is industry standard. Topicals are amazing for a number of reasons, including providing quick, localized relief to sore muscles and joints, relieving dry skin, and more. 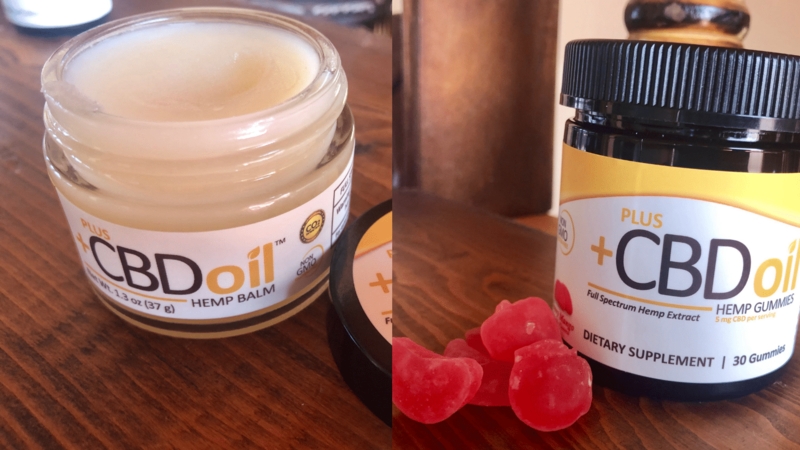 Plus CBD Oil Hemp Balm went on smoothly when rubbed into our sore shoulders…and relief was 100% noticed (and appreciated). While balms tend to be one of the thickest options as far as topical are concerned, Plus CBD’s balm wasn’t overly thick or terribly greasy. It has a slight earthy scent, but nothing that is totally overpowering. We truly believe that Plus CBD is offering a quality CBD product you can believe in. Were we blown away? Not necessarily, but we were happy with what we tried. And we’re going to be sure to order more of those gummies just as soon as we run out. We can’t speak for any of the other flavors they offer in their drops (aside from the “unflavored” we tried there is also an option for peppermint and goji blueberry). 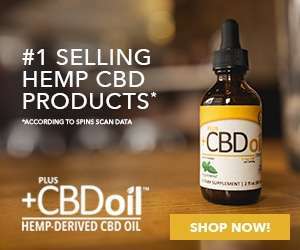 We’re impressed with the Plus CBD website, which is full of information about CBD, as well as all the test results you could ever ask for when it comes to the transparency of their products. Aside from the products we tried, CBD Plus also offers concentrates and sprays. 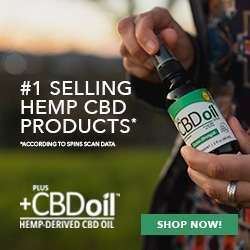 There’s also an option for buying their CBD products in bundles. Buy 4, Get 1 Free. We can honestly recommend Plus CBD to anyone interested in obtaining a high-quality product with the certification to prove it. With Plus CBD you know what you’re getting is real. Have you tried Plus CBD yourself? We’d love to hear about your experience in the comments below.